It has been a while since I have been able to get in the kitchen due to the Nightmare Before Christmas which took out our kitchen for the last few months. 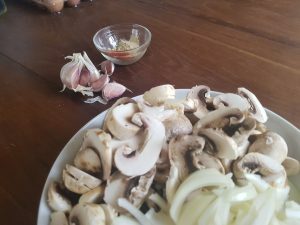 When BritMums gave me the chance to share a recipe with you and get cooking again, I jumped at the chance as I love being in the kitchen, and it gave me a good reason to test out my new cooker, too! 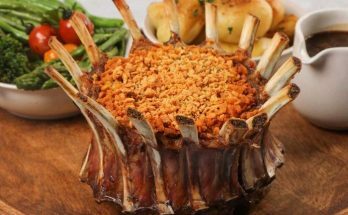 BritMums and Simply Beef and Lamb set the #MeatMatters challenge – create a family-friendly meal that will cook in around 30 minutes that includes beef or lamb. Now, there are loads of dishes which spring to mind which are cheap and cheerful, most of them involve mince beef, which is one of the staples of our weekly shopping. spaghetti bolognese, lasagna, chilli, cottage pie, tacos, or even homemade beef burgers, are all things which we regularly cook. But, there is always room for changing things up and adding something different to the weekly menu plan. 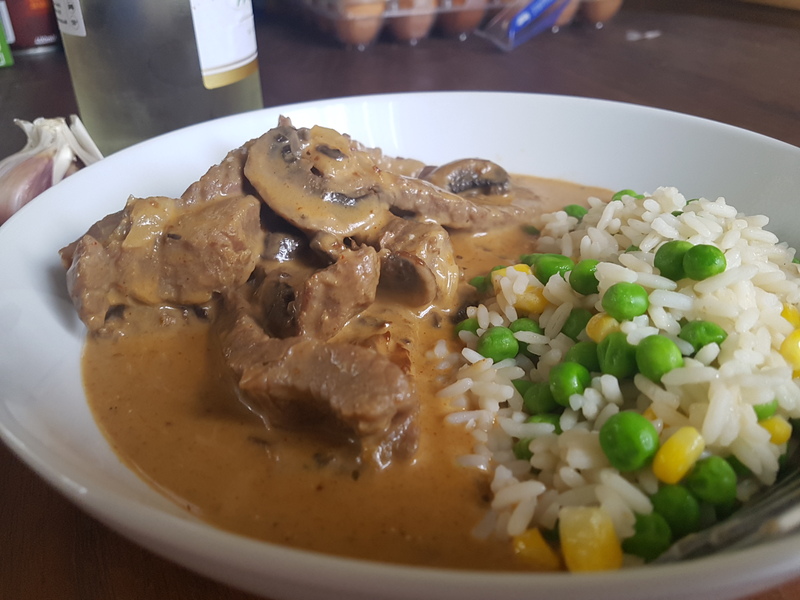 Something which I had not cooked for a while was my version of Beef Stroganoff, and something that Gavin had not tried either. My recipe has been tweaked over the years and is one that I am very proud of. 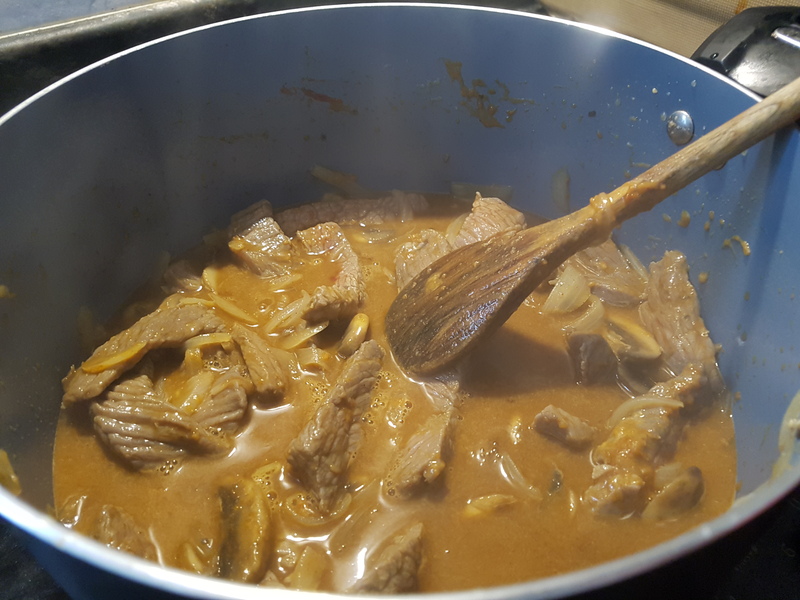 It does have an unusual method of preparing the beef – and I would advise that if you are reading this and think I have lost the plot and you will just skip over this step, please trust me, it makes all the difference and is probably a cooking method which can be added to other dishes too. There are so many people who will tell you the health benefits of cooking with plenty of veggies, but there are also plentiful benefits to adding beef and lamb dishes to your weekly menu plan. 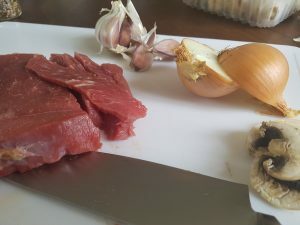 Did you know, the nutrients in beef and lamb can help combat fatigue due to the combination of vitamins, minerals, zinc, potassium and not to mention iron, both types of meat contain a number of essential vitamins which help promote overall wellbeing, good health and can be eating as part of a balanced diet. 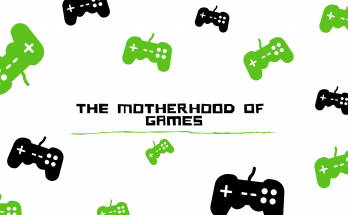 Now, on with the cooking! Slice beef very thinly across the grain and place in a non-metallic bowl. Mix together the baking soda and lukewarm water, then pour it over the beef. Stir well and let sit for 10 minutes. Meanwhile, pour olive oil into a large saucepan and sauté onions and garlic puree on low heat until soft. Add mushrooms and cook until soft. Remove the sliced beef from the bowl and rinse it well under cold running water in a colander, let drain. Add well-drained beef to the cooked mushroom mixture and start to brown over medium heat. Please note that when you add the beef it will start to foam – this is to be expected and will subside during cooking. After a few minutes, sprinkle flour in and stir until everything is coated. 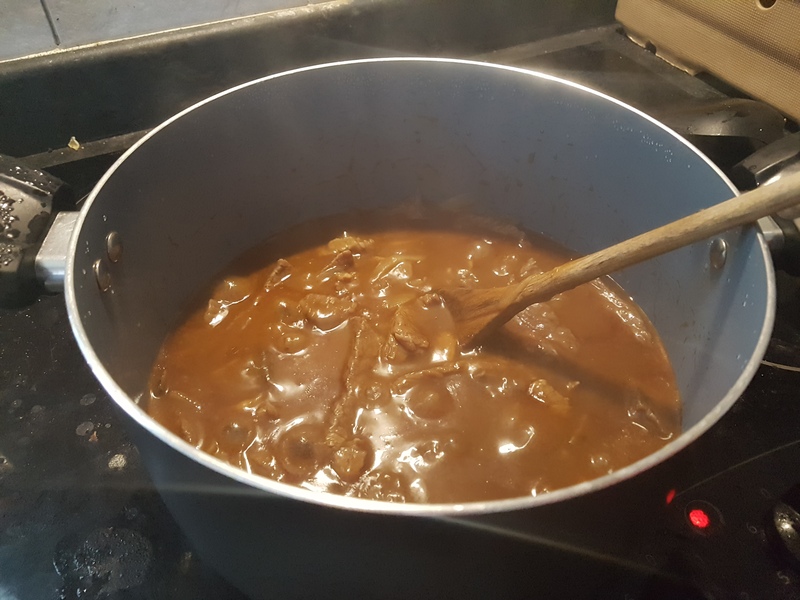 Dissolve two beef stock cubes in the boiling water, and add this plus the Worcestershire, bay leaves, wine, paprika, and white pepper to the pot and stir well to combine. Cook on medium heat, simmering for 10 – 15 minutes – longer if wanted, or if you wish you can now add this mixture to a slow cooker and place on low for a few hours if you wish to eat later. When you are close to serving, take it off the heat and add the sour cream, careful not to curdle, and stir well. Remove the bay leaves so your family does not think you have left parts of a tree in their dinner! 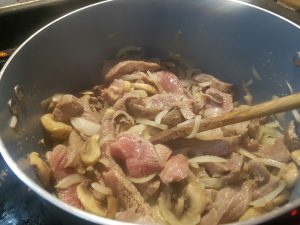 The stroganoff can also be made with lamb for a tasty variation! Various cuts of beef can be used – use whatever you have, but make sure to slice it thinly across the grain, cheaper cuts of meat work really well because of the “secret” in this recipe that makes it so special, being the treatment of the meat with the baking soda. 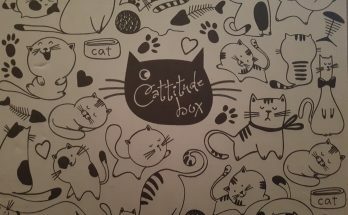 It ensures a wonderfully tender beef that everyone will enjoy. 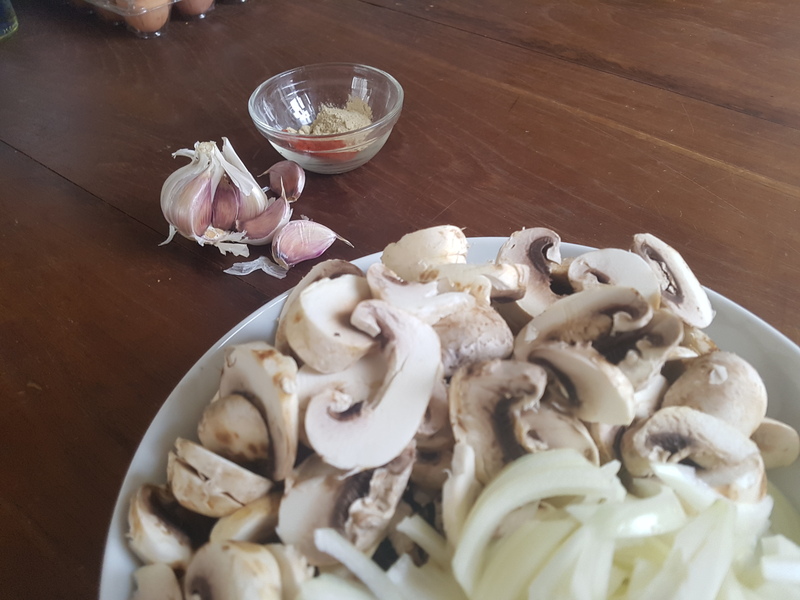 I hope you will give this wonderful recipe a go, if you do, please make sure to share your thoughts below or over on my social media channels – I would love to see your photos too! 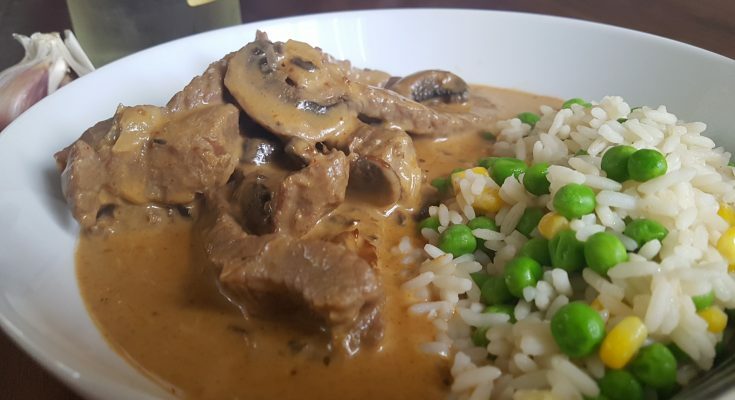 It’s been ages since I had a creamy beef stroganoff. Would love to fix this! 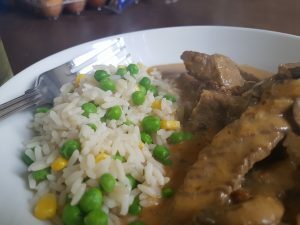 It really is an easy dish to cook and can be spiced up if needed – I may have used a bit too much pepper and paprika as ours had a bit of a kick! You have made me very ready for some lunch. 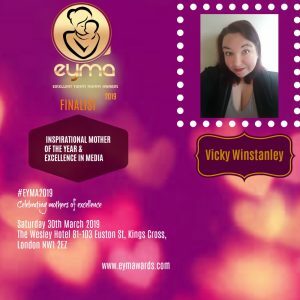 Thanks so much for taking part – commenting for myself and on behalf of BritMums. Thank you for giving me the inspiration to get back in the kitchen and start cooking again!